You need to copy your most precious DVD movie as a backup. But when you searched the free CD-DVD copy software , most of them are shareware and functions are limited. This is my tip on how to copy (copy protected ) DVD using Free Software. Be ware, you need to use two separate software to do this and it’s not easy like a commercial software. But not that hard either. You can do it with a little bit of patience. First get DVDFAB HD Decryptor from http://www.dvdfab.com/free.htm. As the description says, it is a free software that removes copy-protection and copies the DVD data to Hard Disk. You can only use first two menus from the left menu bar. 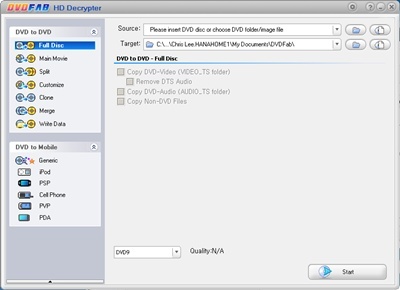 You can copy complete DVD or select specific movie files to copy. It is called ImgBurn. 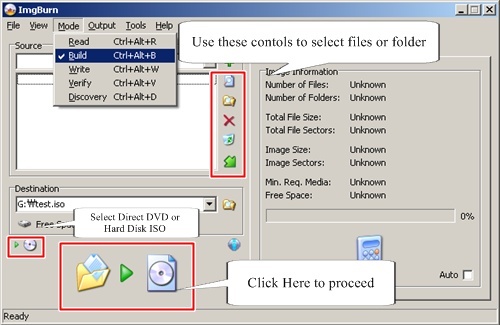 Once executed, you need to select the Mode=>Build menu to create an ISO file or write files into DVD directly. I will update with the details later. I am sorry , but there was no update. But I recommend you below article , as long as I know, it is the best and easiest way to copy DVD.